The summer holidays are almost here and we couldn’t be more excited! We had such an enjoyable break last year and we are looking forward to lots more family fun times this year, too – the highlight being a holiday in beautiful west Wales, in a house overlooking the sea. A whole week of beaches, picnics and glorious coastal walks – assuming the sun keeps shining, that is! 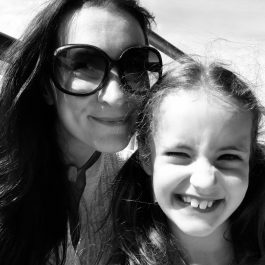 Honey is seven now and it feels like a really great age – she’s such a joy to spend time with. What are you looking forward to this summer? 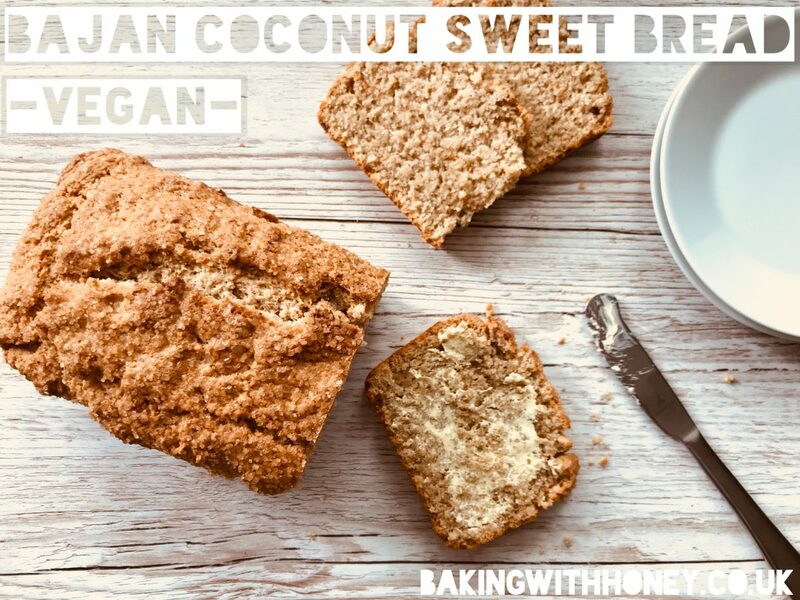 This Bajan Coconut Sweet Bread is something I’ve really enjoyed making during these recent sunny weeks. Yes I *know* you have to switch the oven on but it’s worth it! Did I ever mention how much I LOVE coconut? I find the smell so evocative and intoxicating! Whether it’s the real thing, a synthetic food flavouring or a dodgy sun tan lotion, the smell of it immediately transports me to a far-flung tropical paradise where I’m sipping piña coladas on an icing-sugar soft beach and definitely not sweating over a pile of ironing. Spritzing Britney Spears perfume (“Maui Fantasy”, fellow coconutters) on account of the top note being coconut is a favourite summertime guilty pleasure of mine. And when it comes to food, vegan baking and ‘raw’ treats often involve coconut oil – so you’d be forgiven for thinking I might be tired of it by now. Not happening! Having said all of that, I can’t really picture myself making this golden wedge of a cake (for that is what it is really; it’s only called a bread because it’s baked in a loaf tin, looks reasonably sensible and is eaten in slices) in the colder weather. 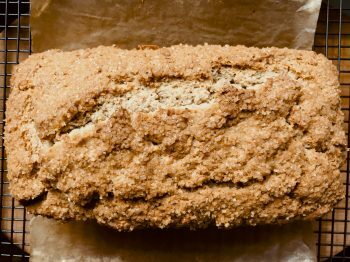 During Autumn and Winter (the Cinnamonths™) I would be more inclined to make the equally delicious but very different Ontbijtkoek – Dutch Spice Bread. I’ve never been to any of the Caribbean islands (sadly) but my light topical research has revealed that coconut sweet bread is enjoyed everywhere, from Barbados to Trinidad. Some keep it simple using only coconut to flavour; others add glacé cherries, raisins, rum and occasionally almonds. I’m giving you all the options here, and I suppose the final result generally depends on what you have available at home. 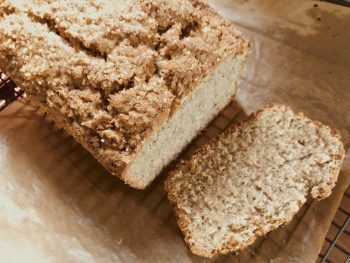 This is quite a dry, firm yet crumbly cake (it is supposed to be – apparently the crumbliness is non-negotiable) and not too sweet. It’s a great snack with a cup of tea, best eaten sliced and buttered. Sometimes I like to lightly toast a few slices under the grill first so the butter goes all melty. (For the love of god don’t attempt to put slices in the toaster). 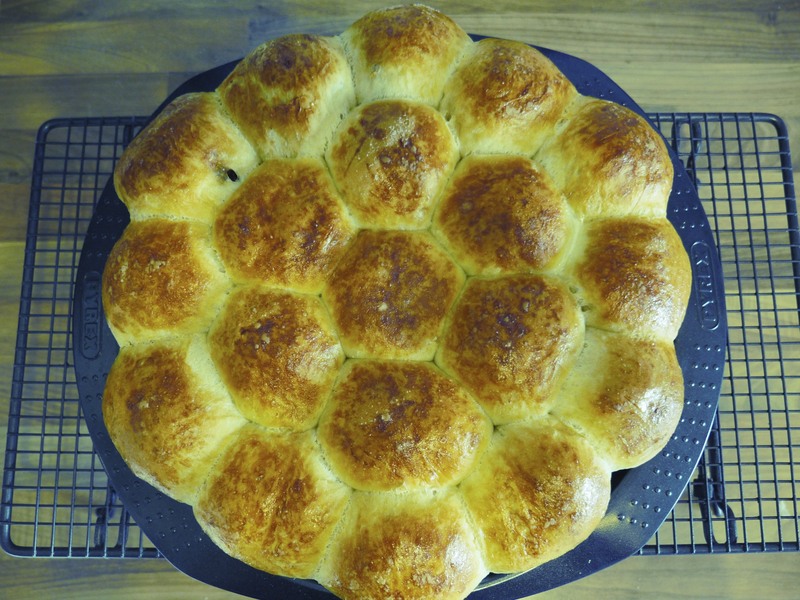 This recipe is inspired by one I saw in a book years ago, but altered quite a bit to make it egg and dairy free. It took me many attempts and adjustments in the name of tasty vegan perfection, and this one definitely got the biggest thumbs-up. Hope you’ll enjoy! In a large mixing bowl, stir together the flour, coconut, sugar, baking powder and mixed spice. In a separate jug, stir together the milk, coconut oil, rum (or extra milk), lemon juice and vanilla. Pour the wet mixture on to the dry ingredients and mix with a wooden spoon or spatula until combined. Then add the cherries, raisins and/or almonds, if using, and continue to mix thoroughly. Watch out for pockets of remaining dry bits! You’ll end up with a rather stiff cake batter – a consistency somewhere between cake and bread dough mix. 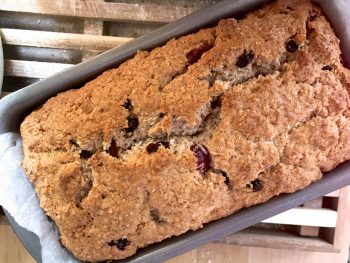 Transfer to the prepared loaf tin, sprinkle with demerara sugar and bake on the middle shelf for 45-50minutes. Use a skewer to check after this time; it should come out clean. 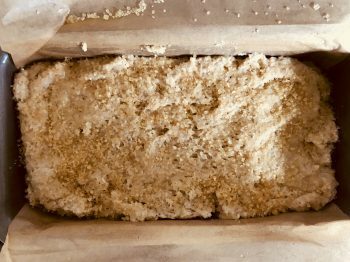 A few moist crumbs are fine, but if there’s any sign of actual batter, pop it back into the oven and check after five minutes. This will keep for a couple of days – pop it in a recycled bread bag and keep in the bread bin.